I had a wonderful time at San Diego Comic-Con this year and it was much less stressful without Outlander there in any official capacity. For those fans that could not make it to SDCC or just could not make it our panel on Saturday, the panel is below for you to watch. Ginger, Summer, Mandy, and I discussed season three and the upcoming season four along with some book talk. Fair warning that if you are a non-reader, there are spoilers in this panel. 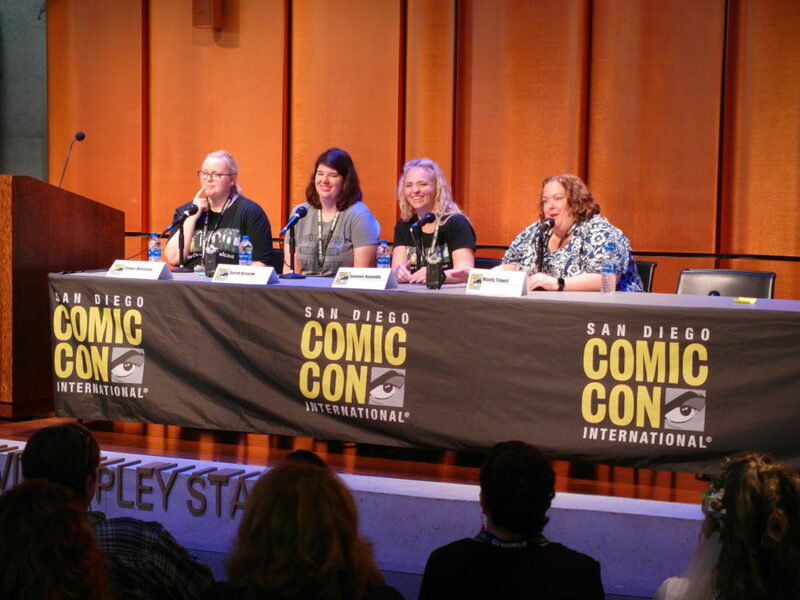 The audio-only version of the panel will be shared by The Outlander Podcast. Thank you to Ginger again for organizing this panel and including Outlander TV News in the panel. Thank you to everyone that came to our panel and a special thank you to Chris Parnell for taking the time to come to see it. If you have any questions or comments about the panel, feel free to leave those below or tweet at any of us. This entry was posted in Caitriona Balfe, David Berry, Diana Gabaldon, Duncan Lacroix, John Bell, Richard Rankin, Sam Heughan, SDCC, Sophie Skelton and tagged Caitriona Balfe, Chris Parnell, David Berry, Duncan Lacroix, Fan Panel, John Bell, Richard Rankin, Sam Heughan, SDCC, Season Four, Season Three, Sophie Skelton by Sarah Ksiazek. Bookmark the permalink.